rides, shows and general announcements concerning ATVs. The format will be a simple by date listing. Everyone is welcome to send the information to me at the email listed at the bottom of this page. Keep in mind this not for general sales from dealers but special EVENTS are welcome! Scrow down to find them all! Join The Largest Gathering of 6x6 and 8x8! The four day event took place on about 1400 acres at a privately owned old gravel pit in Garretsville, Ohio. It had everything from sand dunes, muddy trails, a river crossing and a lake. We had 68 vehicles show up. Ranging from Argo & Max models new and old. The new Argo Fuel Injected 31 HP Avenger made an impressive appearance. Also had one Terra Tiger, very nicely restored by Mark. Even an old Sierra Trail Boss brought in by Ramona and Kevin Griffin. I forgot to mention the Red 650cc 6x6 built by the Orr boys for fun. We lost count of the riders but I know there were over 170 ranging in age of 2 to 68! From IN, OH, KY, NY, NJ, IL, PA, MI, & Canada. The highlight was on Saturday. We had a dice run, a river challenge crossing, lunch at the lake, a hog roast upon returning along with a band and another night run. Upon riding with my husband and another couple in our 8x8 Avenger through the muddy, muddy trails with slop flying everywhere, I thought to myself, this is a crazy sport, but we are having the time of our life doing it! The best part was having our grown children with us, seeing them enjoy this sport with the new friends they made, along with other families doing the same. Thanks to the size of most of the units you can take more then one person with you. You can enjoy this sport with your family and friends. If you did not have any friends with you when you came to the ride, you had about 100 plus when you left. What a fantastic group of riders to spend your vacation with! Everyone was helping one another when they got stuck. (Did I say the “S” word?) Even the young girls jumped in the river to help maneuver some of the stuck vehicles! It was a show just watching all the young drivers get through some of the worst conditions where the old guys couldn’t make it! For anyone thinking about getting into this sport, don’t think twice! Just find an old or new 6x6 or 8x8 and go for it! Join the Fun! What do you get when you mix the enthusiasm of 6x6 off-roading and restoring old muscle cars. Well, you end up with a Hot Rod 6x6 like the Orr boys did. Gregg Orr Sr. along with his boys Gregg Jr. 21 and Jim 17 has been enthusiast of both hobbies since they can remember. For the power pack they used a 1988, 650cc twin cylinder Artic Cat engine that they had to rebuild. They used an Avenger transmission knowing it would withstand the 85 HP. They used the larger Avenger slotted brake disk but cut the single #60 drive sprockets out and welded in double #50 drive sprockets for better strength. For the fuel cells, they ordered “Air Ride” air tanks, cut holes in the top to weld in Argo gas filler tubes. They had an old Kawasaki radiator and fan that was fitted into the rear area with cooling lines ran along the framework to the engine. The steering levers were mounted on each side of the driver for comfort. These were made out of some old levers, but the frame work was made from the ground up. For the exhaust, they had to cut down the old snowmobile exhaust and make it fit into the front body. They heat wrapped and ran the exhaust out the rear of the vehicle for a unique sound and look. The suspension seat frame is that of a tractor, with a plastic bucket and cover added. Mom insisted on the new racing H- harness seat belt once the boys started telling her how fast this should go. Wiring and gauge installation took some time, but everything works, thanks to Gregg Jr. and who is good with electrical components. They used the gauges from the snowmobile along with some of the vents. He even tapped the end of a shaft in order to hook up the speedometer. They purchased some diamond plate to dress it up and to make a firewall that saved Gregg Jr.’s leg when an old belt blew apart while test driving. The belt was new, but it had been setting on the shelf so long when we got it in the original box it had a picture of an old 6x6 on it. I think the box is worth more then the belt, after looking at it closer it was pretty dry rotted and now in 3 pieces. The axles, sprockets and bearings are stock Argo parts with bearing supports added to the front of the unit. The tires are by Goodyear. They used a stock Argo 6x6 roll bar for protection which proved to be useful on the last day of the Ledges Ride. The wheelie bars were made from scrape parts. The Annual CPATVA rodeo is coming up in September and they're hoping for a big turnout of amphibs this year. They always put on a well organized and well run event, and it never fails to be a blast for all. It's on September 22, 2007 at the Flat Run Speedway in Allport, PA. They've established a leisure riding area for the people waiting for their event or not competing in the Rodeo. Thanks to Don Kinyon for sending info for us. mostly a 4x4 group, but 6x6's are welcome. Recently found a new riding area in South Mississippi : Red Creek Off Road website. 2 miles north of Jct. Hwy. 54 and 96. Just outside of Rockport. follow signs that say Backwood''s from there. Hours:10-6pm on Sat. and 1-6pm on Sun., other times by appointment. Primitive camping available, no running water or electricity on site. Wellsville, Ohio Its off Route 7, right on the Ohio river. 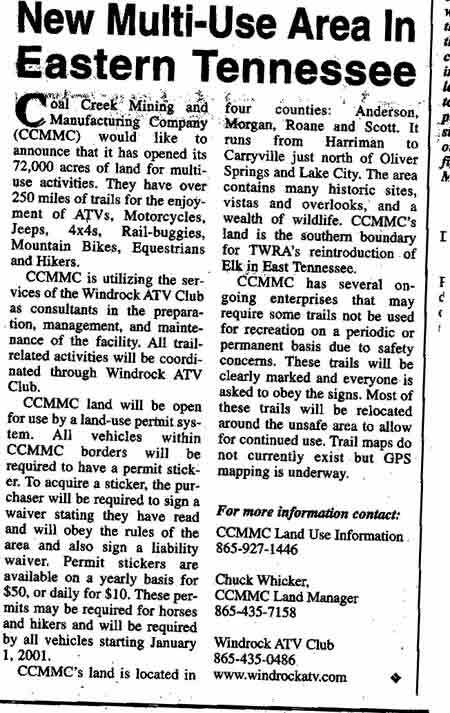 About 2,500 acres of rideable land to access. Areas include creek beds, smooth hills, rough rocky hills, and some very very hairy hills, not for beginners! Genesee county, just outside of Flint is a county operated park strictly for off-road use. 200 acres for dirt bikes, quads, 6 & 8 wheelers & HUGE 4x4 trucks. Ford, GM, Jeep & Hummer have used this both for a testing ground & for filming commercials!! Go to Genesee County Parks in any search engine or, type in Mounds ORV Park, as that is the name of it, offically. Invite anyone who decides to come to contact me via email & I'll try to join them there!! 1) models for which I have some sort of literature, but no contact - that is no person with whom I can discuss the history of the atv model. 2) a list of models for which I have nothing but a name and maybe a city.